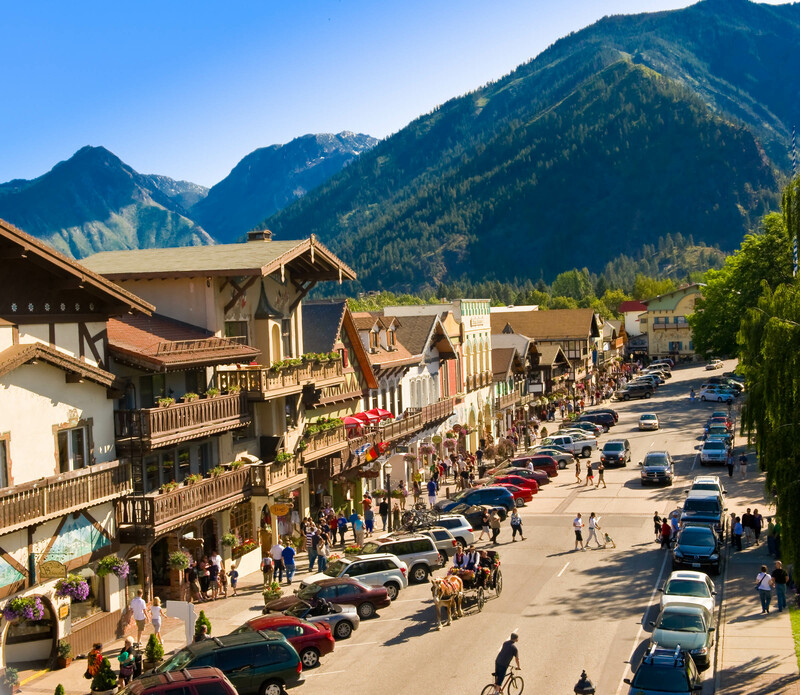 While many Washington cities and towns are actively encouraging and promoting cannabis tourism and commerce, the tourist town of Leavenworth continues to pass on allowing pot shops or other marijuana businesses within its city limits. Because cannabis is not considered legal by the federal government, that makes businesses involved in it illegal under Leavenworth’s municipal code. While city officials haven’t outright banned marijuana, there was discussion about doing so when recreational weed first became legal in Washington. In October 2013, Leavenworth City Council members adopted a six-month moratorium on marijuana cultivation, production and sales, along with any other activities authorized under Washington State Initiative 502. When that moratorium expired in April 2014, council members debated voting to prohibit Liquor Control Board-licensed marijuana retailers, producers and/or processors within city limits. Following discussions that stretched over two meetings, the council in the end voted to take no action. By doing so, Leavenworth’s current codes for business license applications basically do the same thing as banning I-502 businesses. It doesn’t look like that will change anytime soon. “The Chamber of Commerce and the mayor share the opinion that this is not something on top of the list to promote at this time,” said Walinski, discussing changes to the municipal code. That’s not to say that no one is using marijuana in Leavenworth. There are two nearby retailers, American Harvest in Peshatin (about 4 miles from Leavenworth) and the Happy Crop Shoppe in Cashmere (11 miles from Leavenworth). Walinski says city officials don’t have a problem with this as long as users obey the law. Walinski also acknowledges that businesses are coming to the area that cater to marijuana users, and city officials also aren’t overly concerned about that either. There are also some other innovative ideas involving marijuana that Walinksi has heard of. Along with creativity, Walinksi says local officials understand that, being a city that hosts an annual beer festival, there are going to be activities that market to a more mature crowd. He says it’s important though that people take into consideration the demographic of each event they consider attending. In Leavenworth, children are allowed to be on-site at pretty much any event and venue, even those that serve alcohol, until 9 p.m.
“Then of course, as you get later into the evening, the younger (adult) crowd prevails so the event changes a little,” said Walinksi. Outside of Leavenworth itself, Chelan County has made it difficult for producers to grow marijuana. The conditions that make the area great for agricultural products like apples and cereal grains also make it ideal for growing marijuana. While there was initially a rush to start outdoor grow operations in the area, complaints about increased traffic, security lights and smell caused Chelan County Commissioners to put a moratorium on new pot farms in 2015. They initially said marijuana farming would be banned by 2018. In August 2017 that edict was revised to instead require grow operations to comply with tightened zoning and building requirements. Under those ordinances, the largest grow and processing operations are now considered industrial, not agricultural, and zoning and must be moved indoors. Smaller operations, those that use up to 10,000 square feet, can still grow outdoors in rural zones, but require a minimum of four acres and must be 1,000 to 1,500 feet from the parcel boundary, to put space between neighbors and potential odors from cannabis farms. The Central Washington Growers Association, a trade group representing 36 local cannabis operations, says these new rules present a hardship for marijuana farmers, leading many to shut down their farms and leave the industry. Published: Feb. 1, 2019, 4:21 a.m.